The holidays always tend to put things in perspective. A reflection on whom and what you have around yourself during these special times can be taken for granted by those who have been more fortunate than others. While Image Pressworks is proud be to the commercial printing resource for our community, we are even prouder to be a friend to that community. We understand the holiday season is not always met with joy by some people. Because of this, we try our best to bring some of that joy to light through the goodwill and grace of our amazing employees. 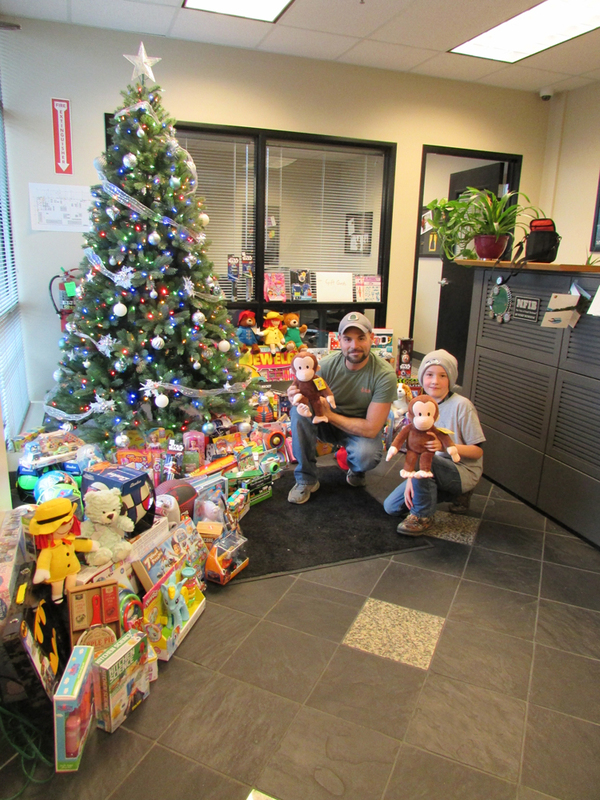 Each year our employees donate gifts to The Raphael House. As a local emergency shelter providing confidential, secure shelter for women and children fleeing from domestic abuse, it’s a place in need of joy. In addition to shelter, The Raphael House is an advocacy center providing support group meetings. Since their founding in 1977, more than 10,000 children have gone through their program. This leads to a need for donations not just during the holiday season, but also all year long. Image Pressworks is proud to give back within our community as much and as often as we can. We encourage our clients and vendors to join us in supporting local community programs that are close to their hearts. Oftentimes, giving back to local communities can do more for a company internally than it can externally. Image Pressworks is a testament to that – Our donations to The Raphael House inspire us to be more collaborative, discover pain points to overcome, and build our company morale as we come together to support those less fortunate. In turn, it allows our team to put our best effort forward in delivering outstanding commercial printing and other services to those same communities around us. Folding Carton Production All Under One Roof: Heidelberg Easygluer 100.